Our House Was On Fire. Laura Van Prooyen. The Ashland Poetry Press. Ashland, Ohio. 2015. You can feel the swift current of an undertow all through Laura Van Prooyen's award winning Our House Was On Fire -- but that doesn't hinder or diminish in any way, these poems are top of the food chain regardless of what river they are swimming in. You can feel the great weight of what John Irving called "the undertoad." And rightly so. There are often times when reason means nothing, dark currents beyond our strength are at play, angry gods conspire against us. said, is what bad people do. Van Prooyen is an explosive delight to read. These poems are full of unexpected crossroad type moments. Van Prooyen isn't cavalier because she has ice-water in her veins and a hard diamond where her heart should be. In another day and age she'd be the moll who was smarter than the mobster. Harder too. to wake up thinking goldenrod. Coneflower. that one night long ago. Never have I said less about more. But it is sometimes hard to qualify exactly what it is that gets under your skin about a book of poems. Under your skin in a good way. 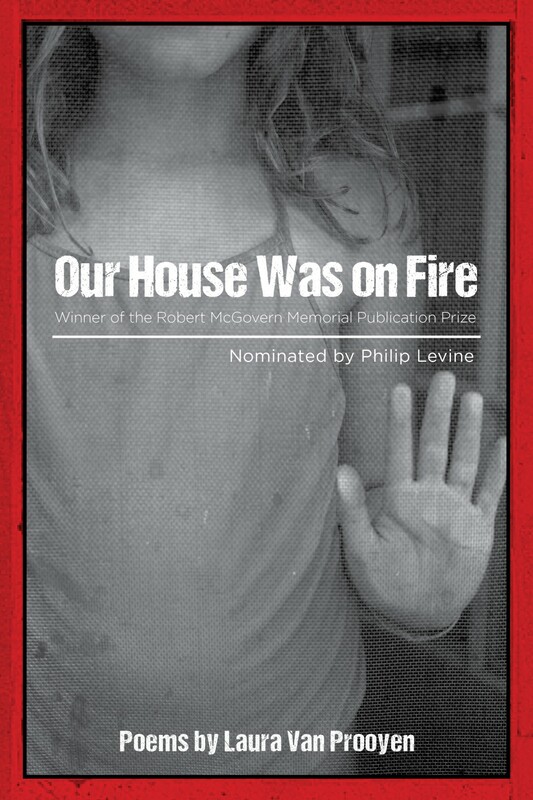 Laura Van Prooyen's Our House Was On Fire is riveting. Today's book of poetry admires honesty, of course. We all do, at some level or another. But it strikes me that Laura Van Prooyen may be capable of a little more honesty than the rest of us. I'm pretty certain it comes at a cost. It is a tough path to navigate the world without the buffer of suspended disbelief. Today's book of poetry marveled at the endless stream of small moments Van Prooyen stole from my life and found fit to put in her poetry. I am equally sure she has a few from your life in here as well. a thrill. I want a tangerine. and upstairs a trumpet and flute duet. latest drawing? My head is cracked egg. But now, you dip me in the kitchen. I find my way back. These are some sharp poems. No one is getting through this collection without nicking themselves and leaving a little blood. Laura Van Prooyen is a smiling assassin poet, a real killer when she needs to be. 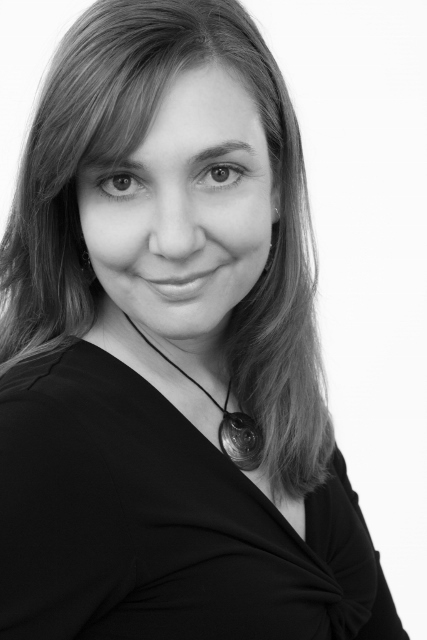 Laura Van Prooyen is the author of an earlier collection of poems, Inkblot and Altar, and her poetry has appeared in The American Poetry Review, Ploughshares, The Southern Review, and elsewhere. She is a recipient of grants from The American Association of University Women and the Barbara Deming Memorial Fund. She lives in San Antonio, Texas. "I think yes. I say no," Laura Van Prooyen declares in this book of assertions and questions where danger lives at every turn--a child threatened by disease, a love passing through uncertainty, all the what ifs and keep at it of our days on the planet. Like music, these meticulously paced poems play over and over unto dark trance their observation and grief, again and again the natural world furious and spare until all seems to stand still. "Understand, the plot doesn't matter," this highly lyric poet insists because her staring stops time. "I felt bad for looking," she tells us. "Still, I looked." "Our House Was on Fire is an arresting, beautiful, and deeply satisfying book of longing, yet longing for what can never be known. And that gives this collection its powerful complexity: what is wanted or contemplated is tempting, but impossible. True desire recognizes what one might lose and also what one must give. Much is given in this book, much of the poet’s mind and honest heart. Van Prooyen’s poems offer a celebration, a carefully laid out feast."